One of the superstars of modern football, Nathan Buckley finally added the coveted Brownlow Medal to his already impressive CV in 2003. 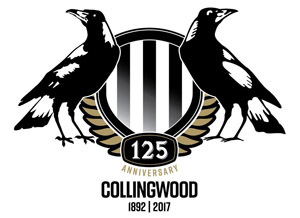 Moreover, after years of little or no success, Buckley – and Collingwood – is finally experiencing participating in the finals (forget about this year – 2004). Buckley’s football career started up in Darwin, when he was only a child. His father, Ray, moved around the country as a football coach. As Nathan found himself smaller than many of the other players in his competition, he took up tennis for a few years, something that he became so good at that when he tore his hamstring in a freak accident on a jetty, he feared his career might be over. However, he then took up footy again, moving down to the Port Adelaide Magpies in the SANFL under 19 competition, where he constantly played off the bench, and didn’t get as much of a go as he would have liked. Then, in a move which kick started his career, Buckley was promoted off the bench, when a star player was injured. Buckley played his best football since he was a junior, and won his place in the side for the future. The next season, 1992, was the year where Buckley became the next big thing. 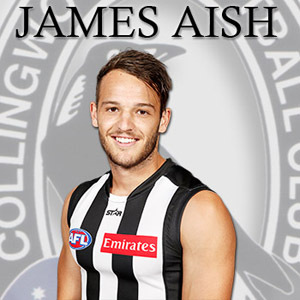 He won the Magarey Medal (for best player in the South Australian Competition), as well as playing in the Port Adelaide premiership against Glenelg, where he won the Jack Oatey Medal, as the best player on the ground. Buckley was then sought after by all AFL clubs, with Collingwood, Geelong and North Melbourne leading the chase for Bucks. But, Brisbane threw a wildcard into the pack, with the AFL rules stating that they were to have at least 12 Northern Territory players on their list, Buckley, having made his senior debut for Southern Districts (NTFL), was selected to join the Bears for season 1993. Buckley exceeded all expectations, in coming equal fourth in the Brownlow Medal, and winning the Norwich Rising Star award for the best player less than 21 years of age. He was again highly sort after by all Victorian clubs, when he signalled his intensions to play football in it’s homeland. Collingwood again made a strong play for his services, and were rewarded when he accepted their offer. The year, 1994, was an exceptional season for Bucks, who tied for the Copeland Trophy (best Collingwood player), along with skipper Gavin Brown. He was a welcome addition to Collingwood, in what was to be the last year of football for former captain, and club legend, Tony Shaw. However, the following year, 1995, was not Bucks’ best season, although he was still good enough to finish 4th in the Best and Fairest at Collingwood. 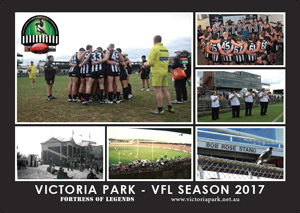 That said, the footballing public, particularly Collingwood supporters, expected more. The year 1996, was a solid season for Bucks, who won his second Best and Fairest at Collingwood, as well as getting in the All-Australian side for the first time, where he stayed until 2001. Following on from that, 1997 was another good season for Bucks, who finished runner up in the Copeland to Gavin Brown, and played his 100th game, in which he collected 43 possessions. The year 1998 saw Buckley finish 2nd in the Brownlow Medal to Robert Harvey, as well as winning the Best and Fairest. However, 1999 was an unsuccessful season for Collingwood – Buckley’s first as captain – when it finished last for only the second time in its illustrious history. In the round two clash with Carlton, Buckley broke his jaw after an incident with Justin Murphy, which forced him to miss the next 5 weeks. Buckley still recovered to play at his best, despite missing out on the Brownlow, finishing in 3rd position. Next up, 2000 was a quiet season for Buckley, who, along with Collingwood, started off with a bang, as the Pies wont heir first five games and Buckley figured in the best payers in each one of them. After that, Buckley tapered off, with a nagging knee injury, which plagued him throughout the season. The year 2001 was a good season for Buckley, who was again a solid leader In round 2 against Fremantle at Colonial Stadium (now Telstra Dome), Buckley gathered 46 possessions and 2 goals, seeing his side to victory. 2002 was strange season for Buckley, who missed out of the All-Australian side for the first time since 1996. But, it was only the second time that Collingwood had made the finals since Bucks had arrived at the club. However, Buckley still rose to the occasion when it counted, such as the 2002 Grand Final, where he won the Norm Smith Medal, for being best afield on the biggest day of the football year. Sadly for Buckley, Collingwood went down to Brisbane by only 9 points, in one of the most courageous performances of the season. After coming so close to the Holy Grail in 2002, Buckley was determined to hit back in 2003. He was true to his word, as he played out his best season to date. But, on the final Saturday in September, Buckley and his team lost their way, going down by 50 points. Although Buckley tried hard he could not over come the pressure of tagger Robert Copeland who dampened Buckley’s influence. So far in 2004, Buckley’s season has been a disaster, with multiple hamstring injuries. Early in the season, the sight of Buckley carrying the midfield load reminded many a Magpie fan of the late nineties, when Buckley would consistently carry the side. After injuring his hamstring in Round 3 against Brisbane, Buckley missed the next three weeks but on return against Carlton in round seven, tragedy struck for the Magpie skipper when early on in the second quarter his troublesome hamstring gave way when attempting a tackle. Buckley would remain sidelined until the Queens Birthday match in round 12 against Melbourne. With the side depleted by injury, Buckley was played as a forward in the absence of forward targets Anthony Rocca and Chris Tarrant and performed admirably as his side went down by 9 points. However, Buckley remains one of the most consistent performers in history of the game. Buckley has won a record 6 Copeland Trophies at Collingwood, and has made it into the All-Australian team many times, including once as Captain. Buckley is a champion of the game, in every sense of the word. Nathan Buckley, will long be remembered as one of, if not the best, players to pull on the mighty black and white jumper. One only hopes, that by the end of his illustrious career, he will be able to hold the premiership cup aloft.